If you need help making your Last Will and other estate documents, BGEA has partnered with Christian Trustmaker, an independent online legal document service that prepares personalized, state specific plans with a faith-based orientation. At present, this service is available in certain states, with others coming soon. 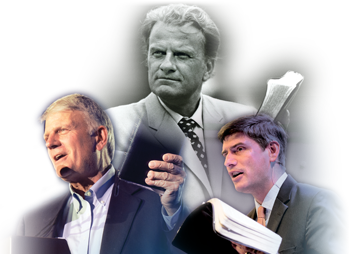 As a friend of the ministry, contact your Regional Manager to request your 30% BGEA discount code. Retirement Assets are tax-deferred retirement accounts, designed to promote savings for retirement, and include profit sharing, IRAs, 401(k), 403(b), and Keough and pension plans. As some individuals approach retirement age, they discover that they have accumulated more funds than they will likely use. If you have a larger estate, subject to both income and estate tax, retirement assets may be a good source for your planned gift to BGEA.